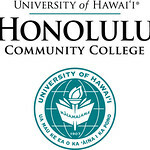 “Taking the first step is the hardest, but it’s a worthwhile investment that will greatly impact your future for the better,” shares Jennifer Higa-King, Interim Dean of University College at Honolulu CC. College graduates, on average, earned 56% more than high school grads in 2015, according to data compiled by the Economic Policy Institute. That was up from 51% in 1999 and is the largest such gap in EPI’s figures dating to 1973. During the informational session interested individuals will be taken through the admissions process, learn more about the program of classes, and understand the variety of campus resources available to them. The Executive A.A. is an affordable alternative for people who are considering college for the first time, or have some college experience and want to complete their degree. With classes offered in the evening and online this program is an alternative to the traditional day-time class schedule. The smaller cohort environment will provide the learner with the support services that will help them accomplish their academic goals.